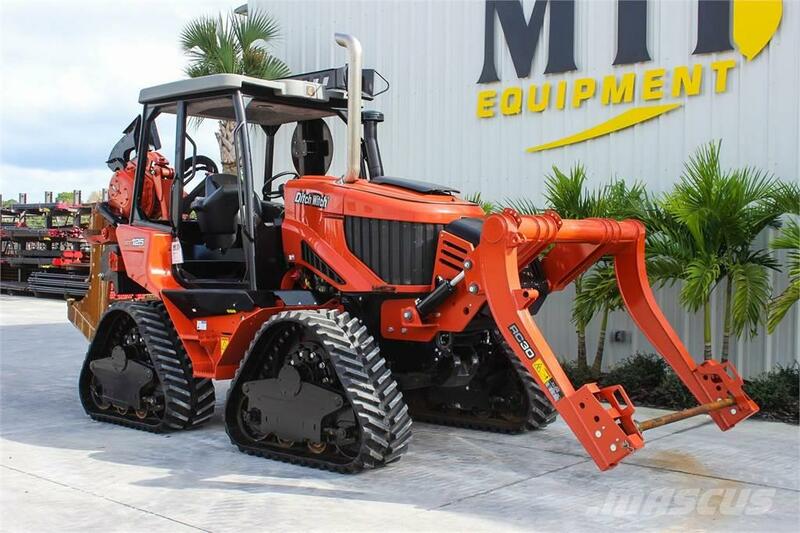 2016 Ditch Witch RT125 Quad Track Cable Plow – This plow is in excellent condition with 212 hours, 121 hp Deutz diesel engine, 4x4x4, rubber tracks, four-post Open Rollover Protective System (OROPS), tilt-frame, rear steering, vibratory plow attachment with blade & RC30 reel carrier attachment. This plow will be thoroughly inspected and gone through by our highly trained mechanics. Come demo this RT125 Quad today!